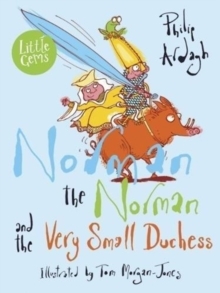 If you're brave, helpful, honest, good to your planet and kind to animals (even ones that don't do much ... like boring worms) then you, too, can be a Little Adventurer. 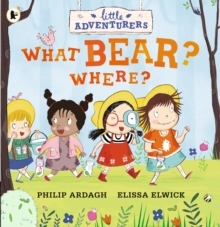 From the award-winning Philip Ardagh, and rising illustration talent Elissa Elwick, comes the second instalment in a brand-new picture book series! 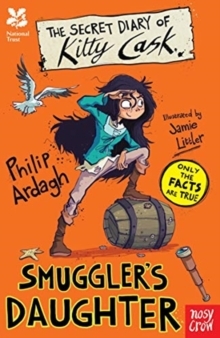 Meet the Little Adventurers - Finnegan, Sprat, Floss and Peanut. Each week they meet in their top-secret shed HQ, ready to share their fun with you! This week, their mission is to spot animals - creepy-crawly, furry or fishy! Even with Sprat's homemade binoculars on-hand, hosepipes can be mistaken for snakes, dad's broom for a prickly hedgehog, and - eek! - can that really be a grizzly bear lurking behind that bush? With an activity idea and an information page with every story in the series, the Little Adventurers four will encourage hours of immersive play, and will ignite the imagination of curious explorers everywhere.